Bruce Bochy looks like the neighborhood bartender, the kind of stand-up guy who would drive his last customer home after a long night. His voice and stubble belong in a 1950s western. Smart money says he is great poker player. He knows what he knows, but he doesn’t let the manager in the other dugout know it. Bochy isn’t a mastermind like Tony La Russa. Or a master motivator like Tommy Lasorda. Bochy isn’t Columbo. He’s Andy Taylor. It is an over-simplification, but — Bochy gets good ballplayers, treats them well and they win. The San Francisco Giants won their third World Series championship in five seasons last night with a 3-2 victory over the Kansas City Royals, cementing Bochy as the most successful manager in baseball. He is one of 10 managers who have won three championships. The other nine are in the Hall of Fame. Stengel, McCarthy, Mack, Alston, Torre, McGraw, La Russa, Huggins, Sparky … Bochy. Bochy knows how to manage a bullpen. In his 12 seasons with the Padres, Bochy’s closer was Trevor Hoffman, who retired as the all-time saves leader. With the Giants, Bochy has deployed a different closer during each World Series run — Brian Wilson in 2010, Sergio Romo in 2012 and Santiago Casilla for most of this October. But Jeremy Affeldt may be the team’s best reliever. The 35-year-old entered last night’s game in the second inning and pitched 2.1 shutout innings, his longest outing in two years. He was 2-0 with a 0.00 ERA in 11.2 innings during this postseason. He has pitched 22 consecutive scoreless innings in the playoffs. Bochy gets the most out of veteran hitters, too. Phil Nevin, Ryan Klesko and Mark Loretta all had career years with the Padres. Tony Gwynn was a better hitter in his 30s than his 20s. Rickey Henderson scored 110 runs in 1996, when he was 37 years old. In 2010, Aubrey Huff and Pat Burrell, both 33, each had impressive seasons. Bochy made a gutsy call in last night’s Game 7, bringing Madison Bumgarner out of the bullpen on two days’ rest. Bumgarner threw 68 pitches in five shutout innings to save the game and the series. He shut out the Royals in Game 5 on 117 pitches. He gave up one run in seven innings in Game 1. That’s one run in 21 innings for the series. Mathewson, Hubbell, Koufax … Bumgarner. The Cubs have reportedly hired Joe Maddon as their next manager. Maddon, who opted out of his contract with the Tampa Bay Rays last week, was a coveted free agent. He accepts advanced metrics as fact and maintains a loose clubhouse. He would have been an upgrade for every team in baseball — except for the Giants. Bochy’s All-Stars include 10 players from his Padres teams — three from the 1998 pennant winners — and five from the Giants. Buster Posey and Ken Caminiti were both league MVPs. Catcher | Buster Posey  24 home runs, 103 RBIs, .336 batting average, .408 on-base percentage, .549 slugging percentage, 109 runs. First base | Ryan Klesko  30 home runs, 113 RBIs, .286 batting average, .384 on-base percentage, .539 slugging percentage, 105 runs. Second base | Mark Loretta  16 home runs, 76 RBIs, .335 batting average, .391 on-base percentage, .495 slugging percentage, 108 runs, 208 hits, 47 doubles. Third base | Ken Caminiti  40 home runs, 130 RBIs, .326 batting average, .408 on-base percentage, .621 slugging percentage, 109 runs. Shortstop | Khalil Greene  15 home runs, 65 RBIs, .273 batting average, .349 on-base percentage, .446 slugging percentage. Left field | Greg Vaughn  50 home runs, 119 RBIs, .272 batting average, .363 on-base percentage, .597 slugging percentage, 112 runs. Center field | Steve Finley  30 home runs, 95 RBIs, .298 batting average, .354 on-base percentage, .531 slugging percentage, 126 runs, 45 doubles. 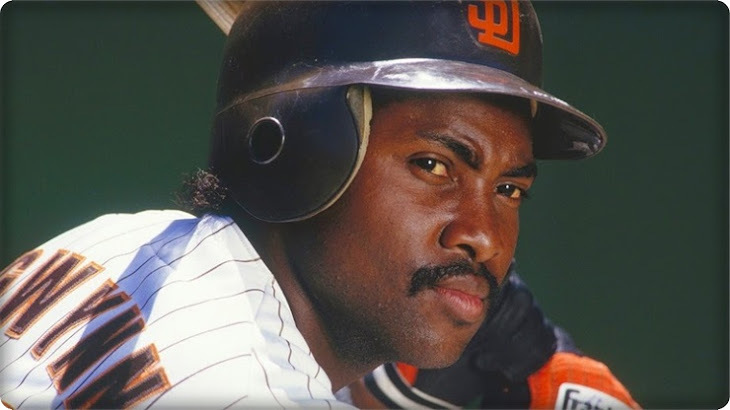 Right field | Tony Gwynn  17 home runs, 119 RBIs, .372 batting average, .409 on-base percentage, .547 slugging percentage, 220 hits, 49 doubles. Utilityman | Aubrey Huff  26 home runs, 86 RBIs, .290 batting average, .385 on-base percentage, .506 slugging percentage, 100 runs. 1. Kevin Brown  18-7, 2.38 ERA, 257 strikeouts and 49 walks in 257 innings, 10 HBPs, 10 wild pitches. 2. Tim Lincecum  18-5, 2.62 ERA, 265 strikeouts and 84 walks in 227 innings, 17 wild pitches. 3. Matt Cain  14-8, 2.89 ERA, 171 strikeouts and 73 walks in 217.2 innings. 4. Jake Peavy  15-6, 2.27 ERA, 173 strikeouts and 53 walks in 166.1 innings, 11 HBPs. 5. Madison Bumgarner  18-10, 2.98 ERA, 219 strikeouts and 43 walks in 217.1 innings. Four home runs, 15 RBIs in 66 at-bats. Closer | Trevor Hoffman  4-2, 1.48 ERA, 53 saves in 54 save opportunities, 86 strikeouts and 21 walks in 73 innings.